Chivas Brothers, has today announced the launch of the latest expression in its Royal Salute annual Flask Collection. Royal Salute 28 Year Old Kew Palace Edition (40% ABV) which pays homage to London’s iconic Kew Palace and its iconic Kitchen Garden, is a collaboration between Royal Salute’s Director of Blending Sandy Hyslop and esteemed perfumer Barnabé Fillion. This latest release, which follows on from last year’s Royal Salute 30 Year Old Flask Edition, is said to balance the brands signature style with super rich fruits, scented flora like violet and aromatic leaves from the Kitchen Garden, resulting in the ultimate sensory experience that pushes the boundaries of modern blending. The collaboration saw Sandy Hyslop lay the foundations of the new blend before uniting with Barnabé Fillion, to create a bespoke whisky top dressing that embodied the iconic Kitchen Garden of Kew Palace. The two worked together, nosing countless whiskies in Hyslop’s blending room in Scotland, to capture their interpretation of the lush flora of the Kitchen Garden, while staying true to Royal Salute’s signature style. 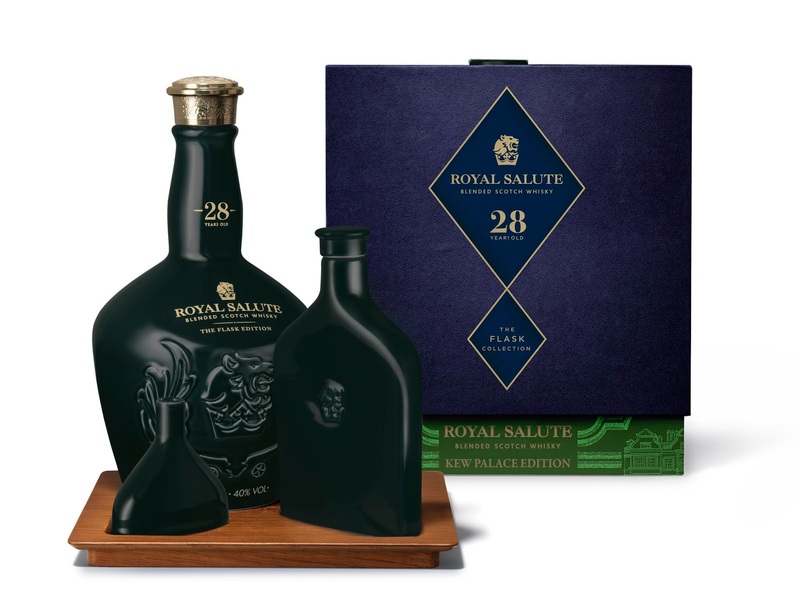 Royal Salute 28 Year Old Kew Palace Edition, will be available later this month from specialist retailers, for a RRP of $790.00.